Banyan Tree Ungasan resort in Ungasan is the resort with stunning panoramic ocean view and guaranteed will make your jaw falling. Located on Bali’s southernmost peninsula, high on the cliffs above the surging waters of the Indian Ocean … midway between the sea and the sky. Its luxurious villas combine the highest quality materials and facilities with contemporary Balinese architecture and exquisite garden design, against a backdrop of panoramic ocean views. Part of the world-renowned Banyan Tree Hotels and Resorts, Banyan Tree Ungasan, Bali provides all the luxury features and spa facilities that sophisticated travellers have come to expect from Banyan Tree. Villa owners are given the opportunity not only to have a permanent holiday haven in one of the world’s most desired locations, but also to join an exclusive club and benefit financially from their investment, both through capital gains and through resort accommodation income. the sacred Uluwatu temple. With unrivalled panoramic views of the Indian Ocean, Banyan tree Ungasan features distinct traditional Balinese touches that blend seamlessly with the mystic charm of its natural surroundings. The new property will boast 73 spacious pool villas all set in their own lush landscaped garden with outdoor showers, marble bathroom with sunken baths, and a Balinese balé (outdoor pavilion). The highlight of each villa is its private infinity pool. 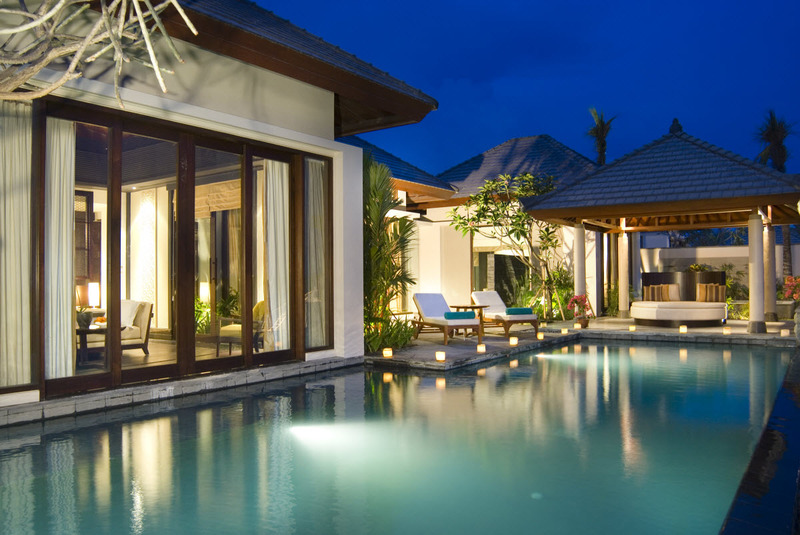 Carefully selected furnishings combine contemporary design with touches of Balinese artistry. Complement this idyllic retreat with award-winning Banyan Tree Spa offering guests an extensive range of natural holistic massages, beauty and body treatments. Guests will be able to take their pick from three restaurants. Ju-Ma-Na restaurant, which means ‘white pearl’ in Arabic, overlooking the Indian Ocean, will offer gourmet menus. Tamarind, set in the tranquil surroundings of the Banyan Tree Spa will serve a variety of organic dishes, and Bambu will present popular international and local specialties. Breathtaking, I think that any other person just has to visit such a place at least once in his life. Thank you very much for such an amazing post here!